A while back we published an article featuring the video “Tips To Improve Your Beverage Photography: Secrets Of The Craft” from Tony Roslund. After its popularity on Photigy, we decided to create another article featuring a series of videos from Tony Roslund posted on his Vimeo page:“Jewelry Photography For Catalogs” and “Bulletproof Backup Strategy For Digital Photographers”. If you would like to see more videos from Tony (yes, we didn’t publish all of it 🙂 visit his Vimeo or FStoppers pages. Here’s hoping you’ll find it interesting and informative. The videos are made by Tony Roslund, a commercial photographer. Make sure to check out Tony’s Product Photography tutorial on RGG EDU which will be released the first week of March. 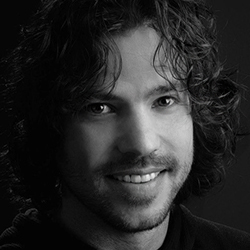 Tony Roslund is a third-generation photographer, specializing in product, architecture, and food/beverage imagery. He is a nationally recognized member of the American Society of Media Photographers, the Association of Independent Architectural Photographers, and represented amongst the world’s most accomplished photographers by Wonderful Machine.